Are you ready to play at a higher level in business and life? Join Personal Transformation Expert, Rachel O’Brien-Eddy, and Alpha Performance Coach, Adam Lewis Walker, to discover simple strategies to build a healthy body and mindset that will practically guarantee your success! Plus find out how the new rules of success are changing the way we do business and how these changes could impact you. 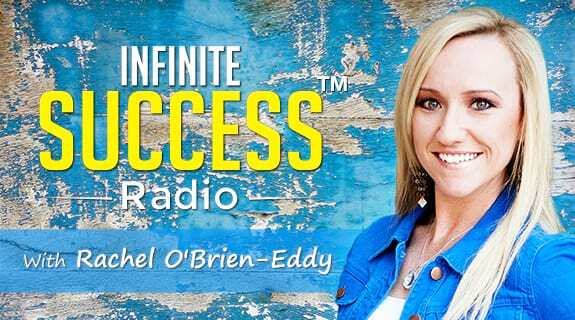 All of this and more this week on Infinite Success Radio. Have questions or ideas for future shows? We’d love to hear from you. Email us at Radio@ConnectWithRachel.com.